The “Help” button doesn’t do anything. 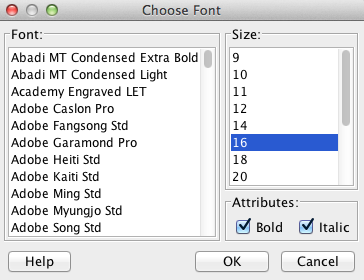 The list of fonts always initially displays the first options, rather than the currently selection option. There is no preview. It wasn’t using Poker Copilot’s translations. It is better and more usable, although I’d still rather be able to use the native font chooser. 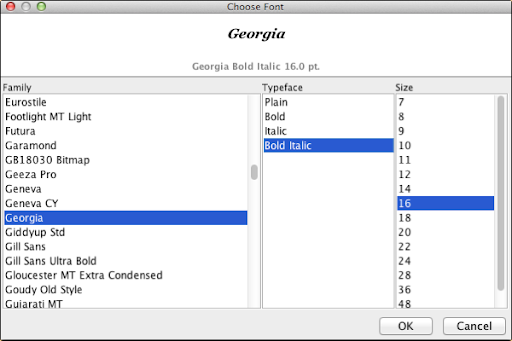 And yes, this does now allow you to choose 7 point fonts.